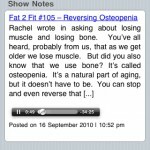 Quite a few years ago I created the mobile version of the Fat 2 Fit Radio site. I took the main functionality from the main WordPress site and translated it using some neat tools, iWebKit and Simple Pie. The main thing that I wanted listeners to do was listen to the podcast on their iPhones. This combination of technology did exactly that. It worked so well that when it came time to create an actual iPhone app for the podcast, this same mobile interface was used as part of that app as well. Additionally, this interface also powers the Fat 2 Fit Android application. How about an example, you say? Visit the following sites on your smartphone to see the interface in action. You can use these tools for other projects as well. 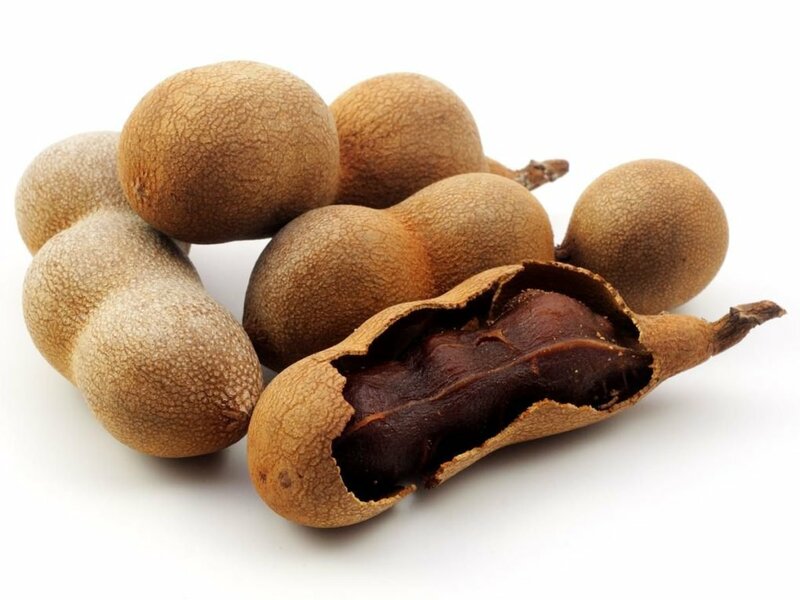 Visit the links above for more information on how to use them. For the podcaster out there that wants a simple interface for listeners to hear their shows, download Your Own Mobile Podcast Web App and see how it works for you. If you’d like help creating a more complex web app for your podcast or business, contact me and let’s talk. 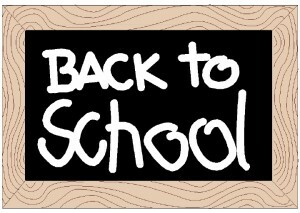 School is starting soon or has started already for many colleges and universities. There are so many great resources nowadays for the student that are either free or next to free to assist them in their studies. Whether it’s getting organized, working with fellow students or a free word processor, there’s never been a better time to be a student and not spend a dime on “other” expenses. Below is a great link with 25 Free or Freemium (free initial service, pay for more features) web application that college students may find useful. Top 25 Free & Freemium Web Apps for College Students. While all these services are worthwhile to try out, a couple of these services stand out as ones not to miss. Evernote – Save those notes and ideas for later using your computer or mobile device. Many years ago, I had a cooking podcast with a lovely woman called Helana Brigman. We produced 23 great episodes that were posted at the website, Homemade Is Best. I let that domain name lapse and it was quickly picked up by a spammer and filled with fake ads touting all sorts of wares. It is now just a misconfigured webhost landing page. What’s not widely known, except by Helana and myself, is that we actually recorded 24 podcast episodes. There was a lost 24th episode that never made it to the website. Why? There were some technical difficulties with recording. The episode ended up being recorded in three separate parts. And then I ended up changing computers before the episode got edited and posted…until now. I’m getting rid of some of the old computers sitting around the office and the Mac Mini that I used to record the podcasts on is now going bye-bye. But before it goes, had to get this lost episode of Homemade Is Best out on the blog. The podcast was recorded in October 18, 2011. This episode is all about making your own, homemade cheese. Ricotta? Vegan? How about feta? What about mozzarella? 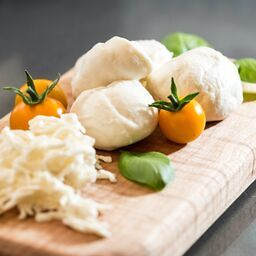 With predominantly the same tools you use to cook your daily meals, you can make your own cheese! We also snuck in a yogurt recipe. Full disclosure: I have still not made cheese, but now will. Most of the new projects that I come up with usually need some sort of programming. Often open source software can be used, but it almost always has to be tweaked in some way or another. The skills to make those tweaks yourself can be invaluable. Today, over on Reddit, I saw a post of resources/websites where you can learn to code. They are tutorials, screencasts, projects or online books that the poster finds helpful. Many different programming languages are represented. I wanted to preserve this list for myself and others so here it is. 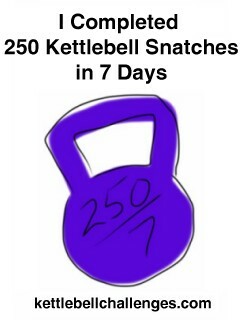 My site, Kettlebell Challenges, has been updated with improved functionality. Most of the changes are behind the scenes, but many are apparent to the users. Among the new features are these great new profile pages. The user has the option of making the profile public or keeping it private. 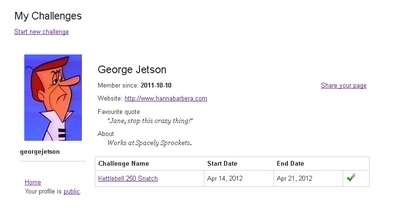 From this profile page you can start new challenges and log, change or delete your kettlebell workouts. After you complete your challenge you’ll have the option of putting a cool badge on your website like the one below. This site is an ongoing effort, but it’s coming along nicely if not quickly. Sign up and challenge yourself! It’s time to say goodbye to The Podcast Studio. The Podcast Studio was the place that I started blogging about podcasting. I would write-up reviews of gear that you might use in the production of your podcast, highlight podcasts that I found particularly interesting and post some podcasting news once in a while. 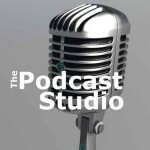 Over the last year I attempted to create a podcast network of shows using The Podcast Studio as the all-encompassing site. The shows have been fun, but the desire to put them under one large umbrella entity has waned. And recently, last night actually, I received an email from my web hosting company, Webfaction, that the site is causing problems on the shared server that it lives on. It’s understandable, but that is the last straw. The Podcast Studio will cease to exist. I’m currently migrating some of that content over to this website, particularly the Podcast Seminar series of posts as well as the Virtual Podcast Seminar eBook. Most of the podcast audio content is found on other sites now, so there’s no reason to keep it around. In a matter of hours or days the domain name will forward back to this site. I’ve been getting quite a bit of text message spam lately. Strange messages show up on my cell phone telling me how to get my horoscope or how to make $100/day by being an undercover shopper. How do you stop it? You could do what the messages say and reply “STOP” or “NO” to the message. This goes against the common knowledge that you shouldn’t reply to email spam. The idea being that you’ve just told them that the email address that they have is indeed a good address. This seems only logical for text spam as well. And, while email spam doesn’t cost you anything, except time, the text message does cost you money out-of-pocket. 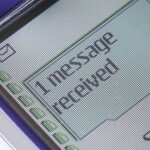 AT&T: Log in at mymessages.wireless.att.com. Under Preferences, you’ll see the text-blocking and alias options. Here’s also where you can block messages from specific e-mail addresses or Web sites. Funny that when I called AT&T that they didn’t give me this information. They said there was nothing that I could do to stop the messages. The article is from three years ago, but for AT&T the instruction were still correct. We’ll see if the messages stop, but at least I’ve been proactive about stopping it. How to Block Cellphone Spam – NYTimes.com. Why’s my browser so slow? Posted by Russ Turley on August 30, 2011 Comments Off on Why’s my browser so slow? If you’ve ever thought to yourself, Why is my browser so slow?, then this post may shed some light on that. More often than not, when I come across a slow website, the problem ends up being Adobe Flash content. The site is either using Flash to deliver all or a portion of their content. It could be a video, advertisement, drop down lists, really any type of control on the page may be a Flash control. The by-product of that bit of Flash is a really slow website. Flash is such a problem for computer performance that Apple completely left off support on their mobile products, iPhones and iPod Touches and the iPad and all those products are the better for it. What’s left is a fast web full of quick loading pages. In fact, many of competing products, like those running Android, enable flash and have had numerous performance and stability problems because of it. Dwight Silverman, tech journalist for the Houston Chronicle, has a great column on the latest practices of the Cnet website Download.com. Apparently they are now offering up a custom downloader that takes the place of the program that you were looking to download. The custom downloader will then offer you change your search engine in your browser, change your homepage and install a toolbar. It will also presumably download the program that you wanted, but the damage will have been done. To make a few extra bucks Cnet has sold out its users to the highest bidder. In the case that I’m seeing on the linked article, Microsoft properties Bing and MSN are the winners. You, on the other hand, are the loser particularly if you download this adware from Cnet. Cnet used to be a reputable source for information. When I look for reviews on a tech product that I am thinking about purchasing or recommending to someone, Cnet has been a place that I could trust. Likewise, Download.com was a place that I cold send a client or family member to download a freeware or shareware program with great confidence. That’s not the case anymore and I’ll have to evaluate Cnet reviews through a finer filter. Look for an article soon on safe places to download software that won’t sell you out. Download.com offers crapware with that program you wanted | TechBlog | a Chron.com blog.